2018 Inventory Clear Out - All below prices have be discounted 20% of the retail price. Stability Pads in action, supporting a 53' trailer. Please indicate the type and quantity of pad you would like with your full shipping address and we would be more than happy to prepare a quotation. You can indicate pick up or delivery ($15 ) if your are in the local Calgary area. Prevent headaches with the right leveling pads. 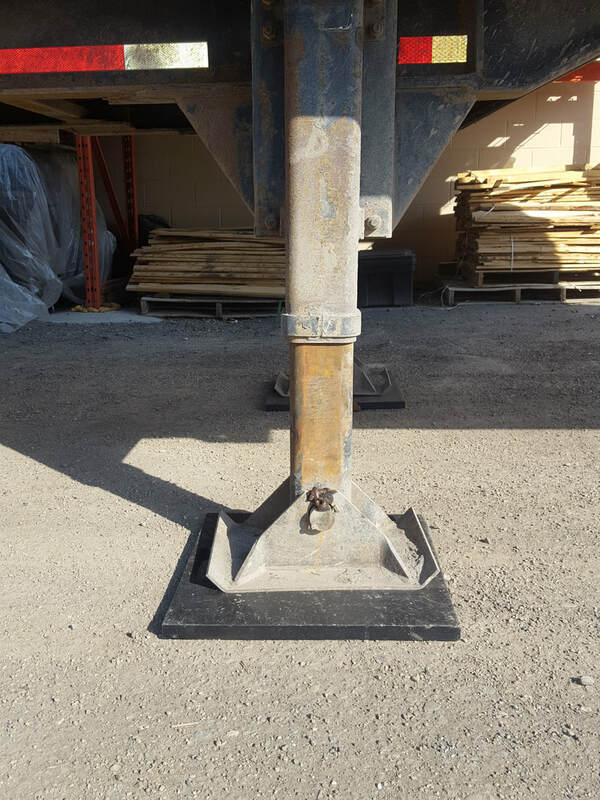 At Stability Pads we are committed to providing premium RV stabilizer jack pads and crane outrigger pads, while offering safety and affordability in our entire product lineup. We offer solutions for avid RVers, outdoor enthusiasts, campers, heavy equipment owners and operators looking to improve the safety and stability of their load. All of our products come with a limited lifetime warranty*. Offering solutions for avid RVers and heavy equipment owners looking to improve the safety and stability of their load. Out with the wood in with the new!